Sync your bank account with your Rentec Direct account for enhanced accounting features and streamlined account reconciliation. Your Rentec Direct development team is constantly looking for ways to improve your client experience. 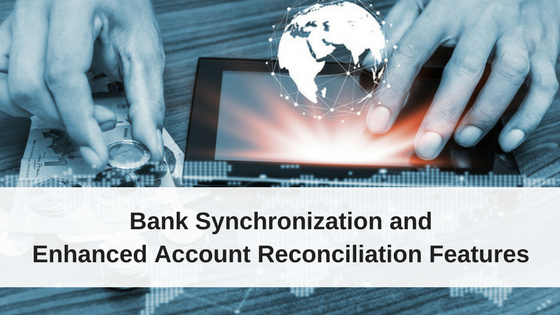 Recently we’ve developed a new and improved approach to Bank Synchronization and Account Reconciliation that we think is pretty great. Come with us as we take you on a journey through the new and improved experience. This feature will be available to Rentec Direct Pro and PM clients on January 24, 2018. Now you might be thinking, “Bank Synchronization… what is that? Why would I want to use that?” Well, you my friend, are in luck because I’m going to tell you. Rentec Direct’s Bank Synchronization tool allows you to easily match actual transactions from your bank accounts with expense or income that you’ve recorded in Rentec Direct. This helps you reconcile what you expect to happen with what actually happens at your bank and in turn can help you track down those things that should have happened but didn’t. 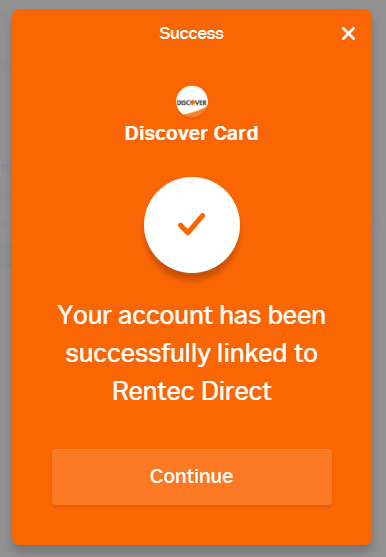 Rentec Direct will actually allow you to securely connect to supported banks, view your actual transactions, and match them to what you’ve entered into Rentec Direct. At this point in time you are no doubt impressed that such functionality would exist. You are probably weeping tears of joy that such a thing is possible. It is, it is possible. Rentec Direct supports thousands of institutions. It’s also really easy to get connected with your account. So let’s get going! If you already use the Bank Sync feature, jump down to the bottom of the article to discover how to update your account to get access to the newly improved Bank Sync feature. Let’s navigate to the Accounts page where we will find a listing of bank accounts that have been setup. From the accounts page click on the menu icon to bring up the menu. Click on the Sync w/ Bank option and we’ll be on our way. This will bring you to the Bank Synchronization page. Here you can easily link to one of the thousands of banking institutions we support. Throw a mouse click on the Link Account button and let the magic begin. If you haven’t specified a bank account number already, the system will ask you for it now. Once you have specified a bank account number you will see the “Select your bank” interface. Here you can search for your bank or select from one of the banks listed. From here insert your credentials. Securely connecting to your account couldn’t be easier! Alright! You are connected to your account! At this point the Rentec Direct system works to securely initialize your account. The most recent 30 days worth of transactions will be available to you in less than five minutes! We know that it’s exciting so we’ve provided a Refresh button right there on the initialization page. Feel free to click it as often as you feel like it. After the initial 30 days worth of transactions are available, Rentec Direct continues to work to get historical transaction information. The amount of historical transaction information available varies from bank to bank but you can typically expect the last 2 years worth of transaction information to become available. Here we are. Your account has been fully initialized and you’ve reached the moment we’ve all been waiting for…The ability to specify a date range, click the Synchronize button, and bask in the sweet feeling of success. Actually, that’s all you really need to do to Synchronize your transactions using Rentec Direct’s easy to use interface. Basking in success is optional. After clicking the Synchronize button you will be able to match the transactions from your bank to the ones you’ve entered into Rentec Direct. Don’t worry, if you haven’t entered any transactions into Rentec Direct, you can easily specify new entries from the transaction matching page. At this point you might be thinking that Bank Synchronization is pretty awesome. It is! You may be thinking, “If only there were more awesome things to learn about…[insert super,cool, awesome feature]”. Already Use Rentec to Sync your Bank Account? As an experienced Bank Synchronization user you might be wondering, “I already sync my bank account with Rentec, what happens now?” Any transaction information you’ve already synced will stay already synced. For any new transactions you will get to re-link to your Bank Account using the new Bank Synchronization feature as described above. We updated this system because banks have been systematically discontinuing the previous method used to sync and while it might have been working yesterday there was no guarantee it will still be working tomorrow. So before that happens to your accounts, we added this new bank sync method to make sure you have an uninterrupted and reliable bank sync service moving forward. PreviousIs it Legal to Evict a Renter During the Winter? Hi Jeremy – thanks for the awesome article (and your writing style). Could you add some deets on old vs new? We have not used sync because as you mentioned, the standard Rentec was using before is not used by very many banks. I forget its name actually – anyway could you say a bit more about what is different now in terms of functionality, and what the tech difference is between the old and new? The main difference is that the visual interface and process used to connect to a bank account has changed. Connecting to an account is now done directly via a brand new interface on the Bank Sync page whereas before the connection was managed via the “Edit Bank Account” page. > what the tech difference is between the old and new? The old approach to Bank Synchronization used only one method which allowed us to get details from maybe a couple hundred banks. Our new approach employs a number of different methods which allows us to connect to more than ten thousand banks reliably. 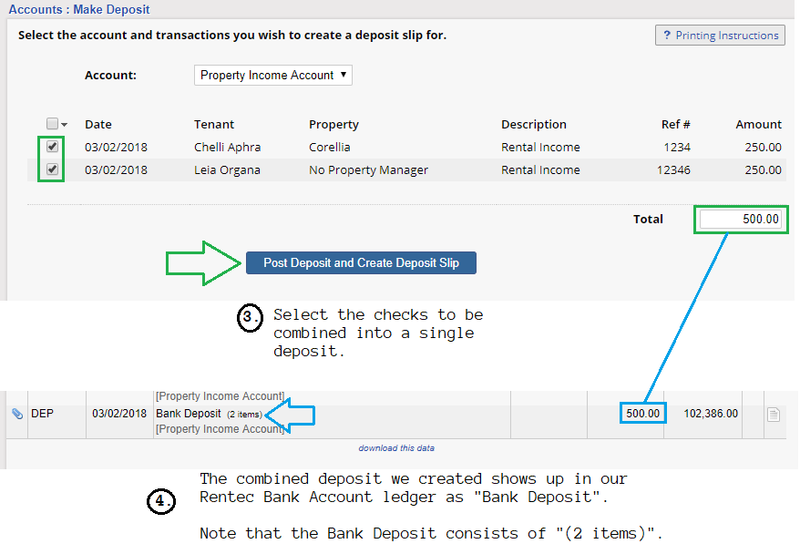 How do you match a single bank deposit containing multiple checks to the individual rental ledger entries that they correspond to? The Rentec ledger will display individual rental payments but the bank displays the combined total of the deposit on the bank ledger. How would the sync feature handle this? Yes! Rentec Direct does support matching a single deposit consisting of multiple checks. You can do this by posting each individual check as income to your “Undeposited Funds” account. Once each check is recorded you can use Rentec Direct to group them together as a single deposit. This single deposit in your Rentec ledger can then be matched to your bank ledger. I’ve created a several images to help illustrate the process. The Rentec Direct Knowledgebase provides additional information on creating Bank Deposits as well. I am currently paying for directconnect with US bank and have been able to sync my transactions. Do I no longer need to pay the bank for this feature/service? > Do I no longer need to pay the bank for this feature/service? That’s correct. 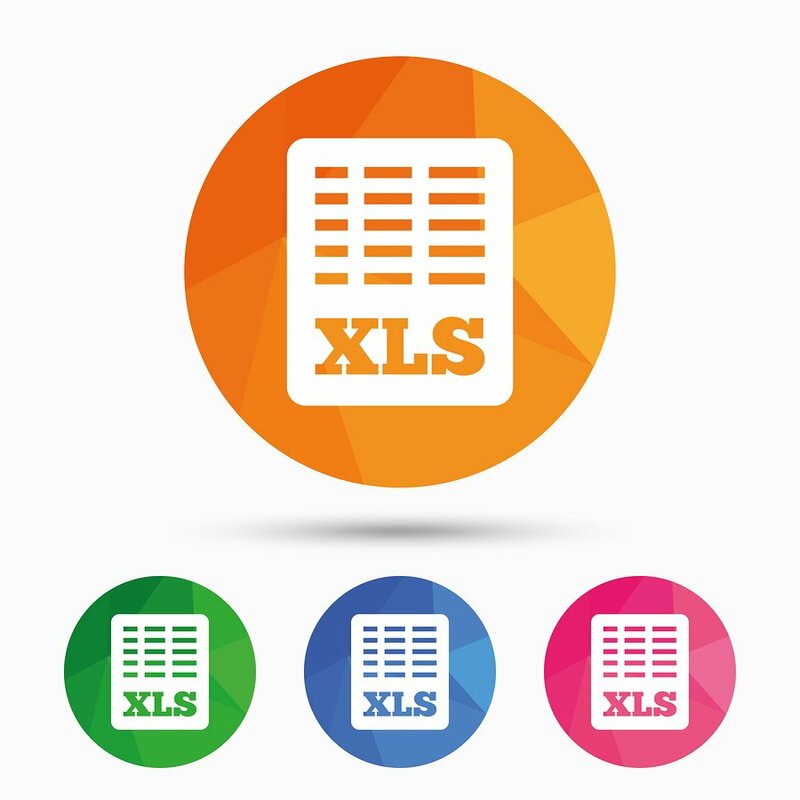 Our new system will take care of grabbing the transaction information. I’ve been waiting for this forever, but my issue has always been with deposits. Is there a way that Rentec will be able to reconcile deposits at the bank, which consist of multiple Rentec transactions? When you download your transactions from your bank, any amount that matches a bank deposit should show as a line item that you can match. Provided the amounts match and the date is within a few weeks of the actual transaction it should show up as a match. I just tested it in my account and it works as intended. If you are having any trouble with this process, please give our customer success team a call at 800-881-5139 or an email to success@rentecdirect.com so we can check into it with your data. What I think Matt (and I) would like to know is if you can match a single bank deposit containing multiple checks to the individual rental ledger entries that they correspond to? The Rentec ledger will display individual rental payments but the bank displays the combined total of the deposit on the bank ledger. How would the sync feature handle this? Was there an answer to this question on multiple checks in one deposit matching the ledgers? I am curious to know this as well. The answer is… Yes! Rentec Direct does provide this capability.